Two traditional quotes are beautifully calligraphed and added in radiant gold foil. The art of papercutting traces its roots in the Jewish Tradition to the 14th century rabbi, Shem-Tov ben Yitzhak ben Ardutiel, who after his ink froze, completed a treatise by cutting out the letters. 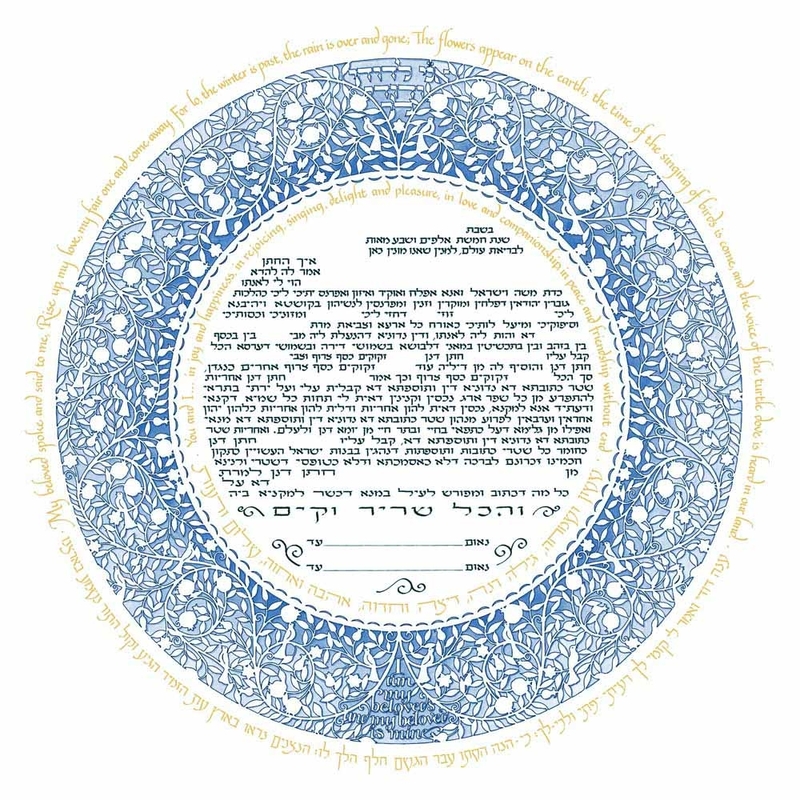 Although this artwork is not an actual papercut, Mickie was inspired by this tradition to create a stunning ketubah using the papercut motif. 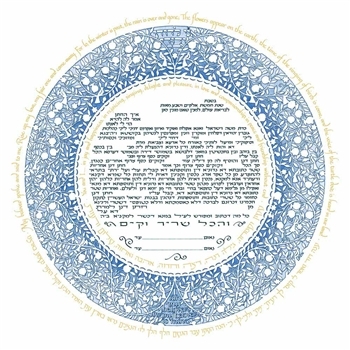 The famous quote from the Song of Songs “I am my beloveds and my beloved is mine” and all of the imagery is rendered as though cut out of a single sheet of paper.